Are you a small business owner looking for an innovative accounting and business advisory firm that can help you grow your business, your profits and your wealth? Here at Eustice & Co we do more than just 'keep the financial score' for our clients. While we are very skilled at preparing financial statements, tax returns and cash flow budgets, it is our services beyond compliance that distinguish us from other suburban accounting firms. For example, we believe your marketing could be the difference between gloom and boom which is why we help our clients with their branding, website, videos and social media strategies. Our mission is to help you slash the time and cost associated with bookkeeping and tax compliance. We support a range of different accounting software programs and are strong advocates for cloud accounting solutions like Xero. Where required we will train you or your staff to use the program that best matches your business needs with your level of accounting skill so together we have more time to work ON your business and your marketing. Over the past 20 years we have developed a number of niche industries including dry cleaners, the building trades, concreters, pharmacists and the fitness industry. We also service a number of medical specialists and surgeons, car wash operators, cleaners, cafes and coffee shops. We genuinely believe that having an accountant who understands your industry can give you a serous competitive edge and having mentored hundreds of business owners through the start-up maze we have also earned a reputation as business start-up specialists. The majority of our clients are family owned businesses who are at different stages of the business life cycle, from start-up right through to the sale and succession phase. With offices located in both Mentone and Mornington we are passionate about helping you build your business and grow your wealth using tax effective strategies including self-managed superannuation and negative gearing. Our clients keep telling us that we offer exceptional value for money and our cost effective business advisory services are designed to help you unlock the profit potential in your business. If you're a committed and ambitious business owner looking to accelerate your business success we invite you to book a FREE, one hour introductory consultation to discuss your business needs. You can expect practical business, tax, marketing and financial advice designed to help you build your business and grow your wealth. To book a time, contact us today on (03) 9583 9944 or complete your details in the box at the top right hand side of this page and we will be in contact shortly. Starting a business is like a game of chess. To succeed you need to make the right opening moves. 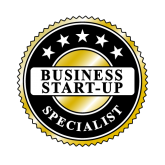 Over the years we have helped hundreds of clients navigate their way through the business start-up maze.